Apple has now even conquered the Wireless Sync patent with other companies struggling for the patents. Apple was the first to discover the patents which include a host of technologies, such as digital-camera calibration along with a way in which a computing device could boot into a single security model. Even the design of the Apple iPod shuffle, boasts an ultra-small footprint, an underneath clip and controls at the top have been cleared for the company to own. One of the more notable patents that Apple has been granted is one related to wireless synchronization. The “wireless synchronization between media player and host device” patent allows Apple to add content to a media device such as a Smartphone or tablet regardless of the fact that it is in a docking station or present in the user’s pocket. Apple does acknowledge in the patent that several wireless-syncing technologies have predated its option, but claims that the technology at Apple differentiates itself by the way in which it handles the data transfer, packages it up and delivers to the client device. The company even said that the patent relates solely to media transfers and not the Operating System upgrades. Reading of the patent itself, Apple wrote that even though the media items of emphasis on several of the above embodiments were audio items (e.g., audio files or songs), the media items are not limited to audio items and that the media item can alternatively pertain to videos (e.g., movies) or images (e.g., photos) also. 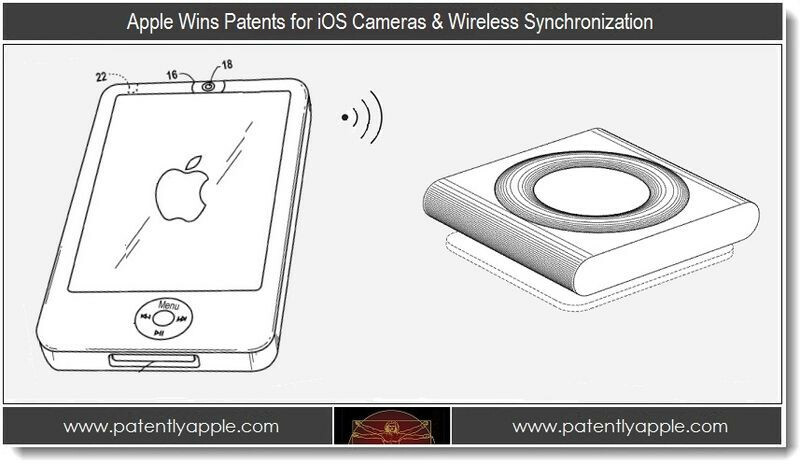 It will definitely be very interesting to see how Apple uses the wireless-syncing patent for its benefit. There are several media applications which allow wireless syncing and depending on the course of the Apple patent and its relation to the online services, they could even be included into the Apple crosshairs. CNET in 2011 offered a walk-through for wirelessly syncing music files in Spotify with the help of an Android device. Even though the premise is the same, it doesn't signify that Apple might be taking issue with it, as the patient appears to be quite specific. Apple, as patently does point out that the company could use the wireless syncing patent for defensive and even offensive purposes. The iPhone maker has also patented how the Apple logo lights up when a Macbook pro is opened, this relates to all the illuminable portion on a computer’s housing. Looking at the sheer number of patent lawsuits running across the technology space, it is no surprise that an intellect property today has become extremely important to all companies all over the world. Patens also became a hot buy for several investment firms. For example, the latest IP investment firm Pendrell acquired 1,300 patents. These patents related to everything from 4G wireless to e-commerce. Pendrell did not disclose however how much it had to pay for the patents.